"The music tells the story of some cosmic cruisers visiting earth and accompanying a drop of water. They then experience all sorts of wonders. It's dedicated to all who still believe in wonders." 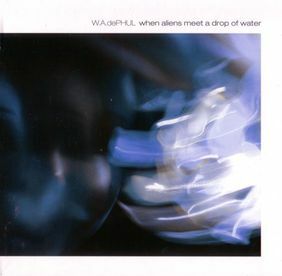 When Aliens Meet A Drop Of Water is the first album of Ralf Wadephul who joined Tangerine Dream as a short time member for the 1988 US tour. It is somewhat an alternate version of the Tangerine Dream album Blue Dawn (2006) which was partially based on the same compositions but was produced by Edgar Froese and included a number of additional solo compositions by Edgar Froese as well. Ralf Wadephul about the motivation to do this album: "After the split we worked occasionally together, but my favourite tracks remained unreleased. I always intended to change this. Continously improving them, the idea for a concept album took shape. Why not let some curious aliens visit earth and experience some adventures? Sounds crazy, but interesting."